This new, revolutionary stand features a double-sided high resolution fabric dye sub print that compliments our Tru-Fit series, making it the perfect accessory to enhance your presentation. 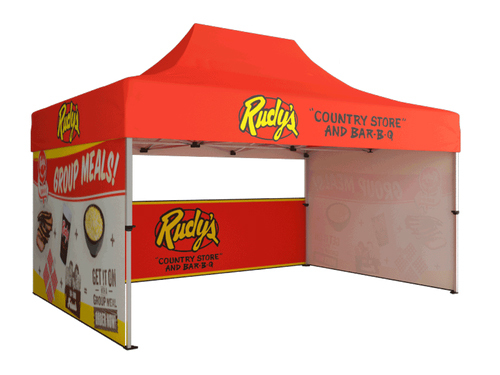 All Tru-Fit Viper banner stands come complete with a premium wooden base, lightweight aluminum frame that's easily assembled, and a molded carrying case with strap for easy transport. The best part about the Tru-Fit Viper banner stand series, is that you have the option to add a contemporary spotlight and shelf to each side of the display for additional exhibition power!